On Thursday October 13, CNN reported that a captive gorilla at the London Zoo escaped his enclosure. The reporter wrote “Kumbuka’s the gorilla’s precise motives probably will never be known” perhaps if we all put our heads together we may be able to figure out his motives. Let’s see, could it have anything to do with being imprisoned and not being free? Imagine- if you will- never leaving where you are as you read this ever again and your walls being made of plexiglass while people peer in at you. This reminds me of the true story of when one worker at a marine mammal captivity business told about how he left, got married, traveled, graduated from college. had children, and lived a good part of his life and returned to see the same marine mammal still trapped in the same for profit prison place. Where the lowland gorilla wanted to escape to. 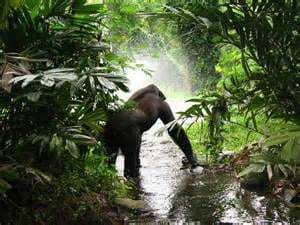 A Lowland gorilla’s home range covers a 3-18 square mile radius, each day they may travel up to 1.8 miles. Finally, this gorilla broke through his glass jail cell, in an attempt at freedom. Zoo gawkers were heard and seen shouting and what bystanders described as “egging him on” before the run for freedom. The glass gave way as he smashed through and ran into the area where his footsteps had never fallen before, free at last, only to be darted with a tranquilizer gun. He woke up in his nightmarish jail cell, once again. London Zoo officials said”…he will be staying here as part of our gorilla family. We expect more gorilla babies from him in the next few years”. 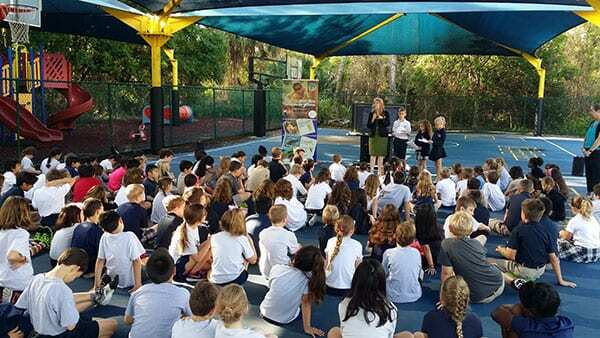 When I tell school children the stories of kids and teens rescuing or advocating for animals I chronicled in the “Animal Hero Kids Voices for the Voiceless” book they tell me how if they were a wild bird their favorite thing to do would be to fly, if they were a dolphin they picture swimming deep in the ocean, as a gorilla they envision climbing up the branches looking out over their home range. There has never been one child in my 36 years of presenting kindness to all programs who thought if they were a wild animal they would elect to be trapped in a cage, a cell, or as zoos call them now “enclosure.” If the adults would catch up with the children perhaps Kumbuka’s dream of freedom could become a reality and he would go to his true, natural home at last. 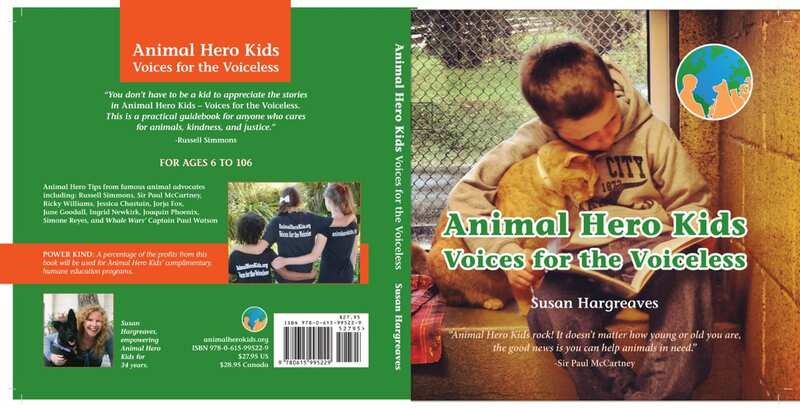 Susan tells one of the stories from her book “Animal Hero Kids Voices for the Voiceless” about helping wildlife. 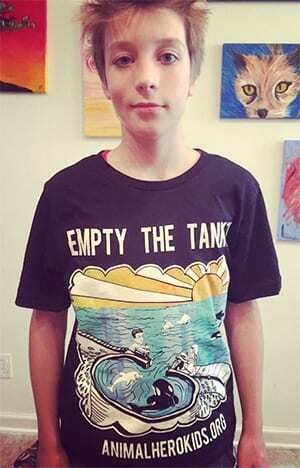 Animalherokids.org on photo!